This policy explains our approach to digital information collection, storage and use in connection with all our digital content. We are committed to protecting your privacy. Spin1038 will ensure that it keeps all personal data you provide to us in accordance with our obligations under the Data Protection Acts 1988 to 2018 and General Data Protection Regulation (GDPR) (EU 2016/679). We may update this policy from time to time, so please review it regularly. If you have any questions about this policy or the information which we hold, please contact us at: PrivacyOfficer@CommunicorpMedia.com or write to us at Spin1038, Marconi House, Digges Lane, Dublin 2. This policy applies to Spin1038's digital services only and not to other websites, APPs, social media sites linked to or from Spin1038 digital services. 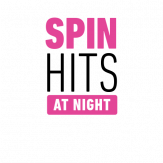 Spin1038 is a commercial radio station broadcasting on FM in Ireland. The station is licenced by the Broadcasting Authority of Ireland. Spin1038 provide a number of digital services for example Websites, Apps, Alexa Skills, Newsletters etc. Spin1038 will collect, use, store or otherwise process personal data in line with the Policy below. Spin1038 will never collect any unnecessary personal data from you and will not process your information in any way, other than as specified in this notice. Station Newsletter Subscriptions are based on Consent. networks to target their audience. Spin1038 uses Google Analytics to monitor the usage of its digital assets which is an essential part of the running of any website. It provides the information we require to manage our server capacity and the popularity of our content. This information is anonymous. Please see : https://www.google.com/analytics/learn/privacy.html for more details . Spin1038 takes your privacy very seriously and will never disclose, share or sell your data without your consent; unless required to do so by law. We only retain your data for as long as is necessary and for the purpose(s) specified in this notice. Where you have consented to us providing you with promotional offers and marketing, you are free to withdraw this consent at any time. To help us to monitor, analyse and improve Spin1038 . This information helps us to understand which Spin1038 content, products and services are most interesting, enjoyable and useful to our users, and if they are shared via social networks. The information also helps us to identify when errors occur within the digital products and services within Spin1038 and test different versions of a page or feature to see which one works best. All of which helps us improve our digital products and services for our users. We can create a more tailored experience by looking at the information we have about you. For example, we will do this by making programme recommendations or telling you about relevant Spin1038 events in your area. To inform the way we commission future content at Spin1038. We will use aggregated and anonymous user data to help our commissioning teams understand what type of content our users like. To sell advertising on Spin1038. We will send you information about the digital products and services within Spin1038 or other marketing activities, but only where you have signed up to receive these from us. Similarly, sometimes, third party partners will want to send you information about products and services, but will only do so if you have agreed to receive them by ticking an opt-in box associated separately with a competition partner. We will email you occasionally about the digital products and services within Spin1038 that you have signed up for (for example, to provide you with password reminders or to contact you about content you have submitted to us via our digital products and services) so that we are able to deliver these services to you. We may also invite you to participate in surveys from time to time to help us understand what you think about our programmes, products and services, and in turn make them better. You have the right of rectification - you have a right to correct data that we hold about you that is inaccurate or incomplete. You have the right to be forgotten - in certain circumstances you can ask for the data we hold about you to be erased from our records. You have the right to restriction of processing - where certain conditions apply to have a right to restrict the processing. You have the right of portability - you have the right to have the data we hold about you transferred to another organisation. We do not share or disclose any of your personal information without your consent, other than for the purposes specified in this policy or where there is a legal requirement. Spin1038 uses third-parties to provide services regarding subscriptions, surveys, competitions and events; however, all processors acting on our behalf only process your data in accordance with instructions from us and comply fully with this privacy notice and are subject to the GDPR (EU 2016/679). Spin1038 reserves the right to allow its data processor Communicorp Group Limited to perform statistical analyses of user behavior and characteristics, in order to measure interest in and use of the various sections of its sites so as to improve design and navigation and to gather marketing information. Only aggregated data from these analyses, not individual data, will be used for this purpose. Spin1038 takes your privacy seriously, we employ appropriate technical and organisational security measures to prevent unauthorised access, alteration, disclosure or destruction of your information. Unfortunately, the sending of information via the internet is not completely secure. Although we will do our utmost to protect your information, we cannot guarantee the security of your data sent to our digital services within Spin1038; any sending of information is therefore at your own risk. Spin1038 only ever retains personal information for as long as is necessary to provide a service you have consented to or to adhere to certain warranties or proof of delivery for competition winners. Where you have registered for an event we'll retain your personal data for 13 months after the event as a record of attendance. Where you enter a station competition we'll retain your data for 12 months after the successful competition of the prize or event in the case of tickets.